We make lists and check them twice, but all too often we leave the house feeling just a little unsettled. And then it hits us -- sometimes when we're taxiing to the airport, and sometimes not until we've reached the destination -- but the thing we can't believe we left behind is nowhere to be found. 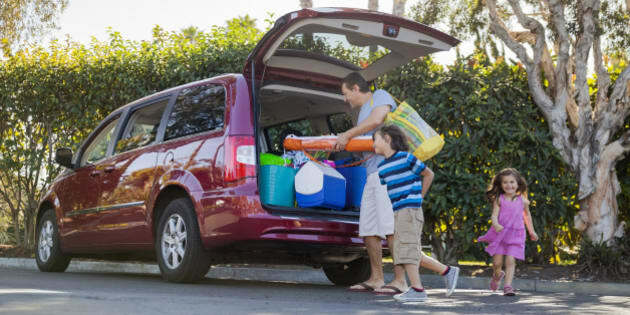 I don't have kids, but I can only imagine the whole packing (and not packing) drama to be multiplied by 1,000 when there is a group of four or more involved. Global Discovery Vacations has made a business out of helping families take affordable annual vacations to resorts around the world. I asked one of their experts: What is something you often find your clients forgetting? "It's pretty common for people to forget prescriptions. They take the medicine and leave it on the counter. Also eyeglasses; it's always a good idea to bring your prescription along in case you break them," says Lori Smith, Travel Agency Manager at Global Discovery Vacations. -Sunscreen. Pack this so you don't have to waste time and money by buying over-priced creams at the resort shop. You and the kids want to get poolside immediately, after all. -Mini Medical Kit. Band-Aids, antibacterial spray, and allergy medications can easily be packed into a portable pouch. This will come in handy for those seaside scrapes... or in case a bee lands on a beachbum. -Airport Snacks. Delays happen. Although airports are improving their food options, it's always a good idea to have some extra healthy snacks in your back pocket. Food Babe has a few great tips on this topic. -Jackets and Light Sweaters. One per person, please. Just because it's 30+ degrees during the day does not mean nights can't be potentially chilly. In hot destinations, the occasional thunderstorms do occur. -Power Adaptor. This is the last thing you want to go hunting around for. Consider the myCharge Transit XT, a 2600 mAh portable battery provides on-the-go portable power with built-in wall prongs and car adaptor. -Laundry Powder. A few scoops in a Ziploc will go a long way when you're down to that last pair of underwear. And what if one has the ultimate unfortunate incident of forgetting or losing their passport? "Your identification should always be with you when traveling. Without it, it can be difficult to impossible to get on a plane," explains Smith. "On the rare occasion, you can vouch for your travel partner, but be prepared to be separated and asked questions to see if your answers match. Having photographs showing you together will help. The security agents want proof that you really know each other." Smith's final note for the packer-in-chief is to take time, about a week before departure, to research your destination "and really think about each individual's needs." 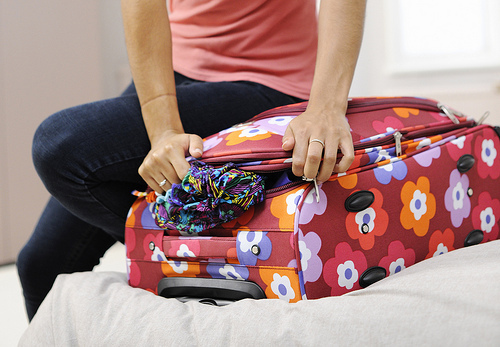 Knowing exactly what has to be packed is an essential step before dusting off the luggage.